Claire and Alex love gaming. 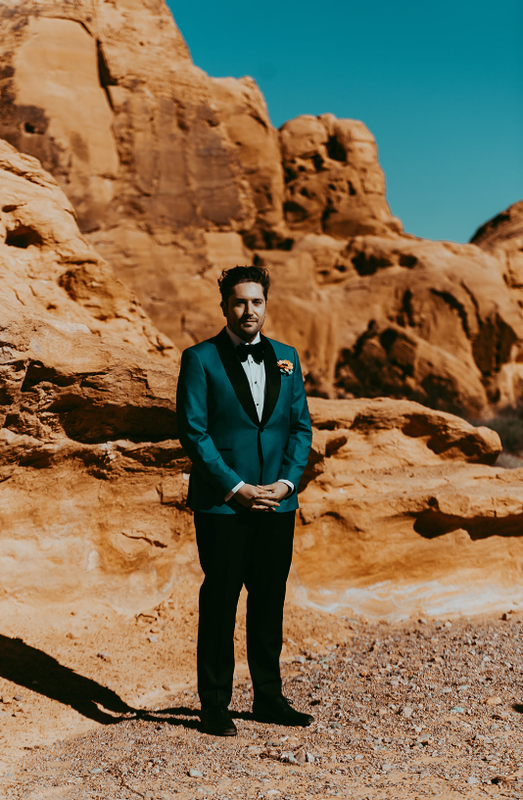 From board games to apps and video games, they’re always at it so this was the first thing they knew had to play a big part in their Vegas wedding. They hired retro arcade games and had giant board games for their guests to play at their reception. 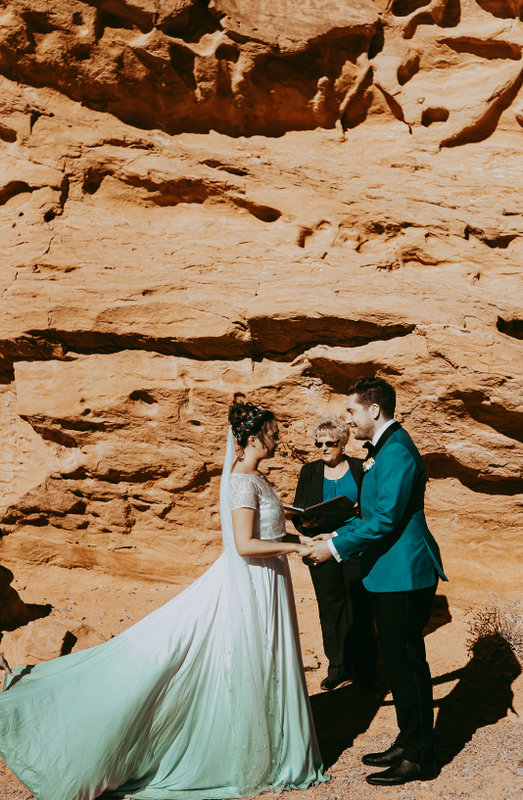 They also wanted the entire wedding to be vegan – all the food and drink but also Claire’s dress, which was from Lucy Can’t Dance, and shoes. 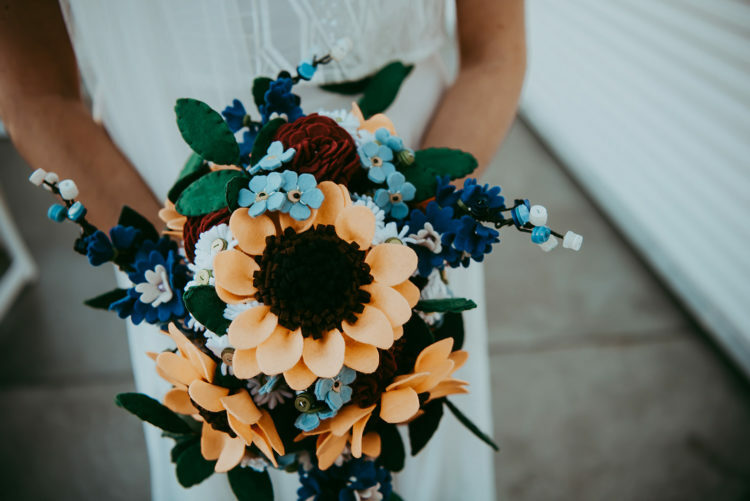 They also used felt flowers instead of real ones which not only looked great but they got to keep forever! 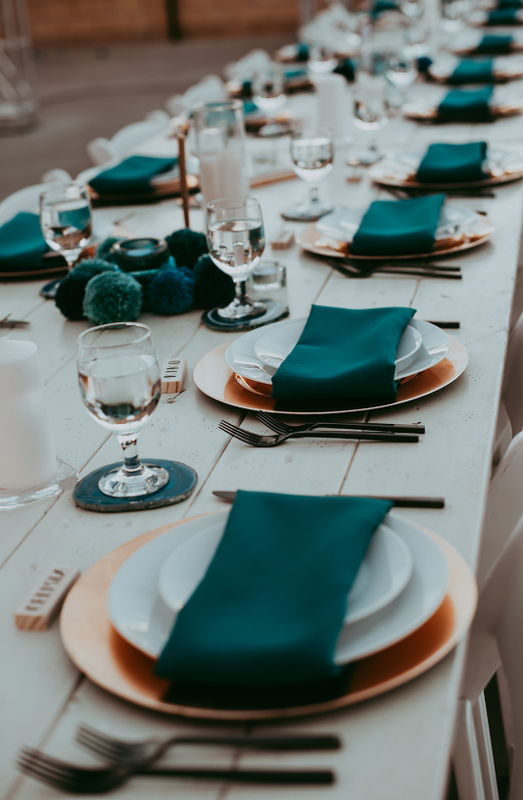 Apart from gaming, the details of the wedding were all teal and turquoise as the couple love these colors and most of the items in their home are painted in these shades. 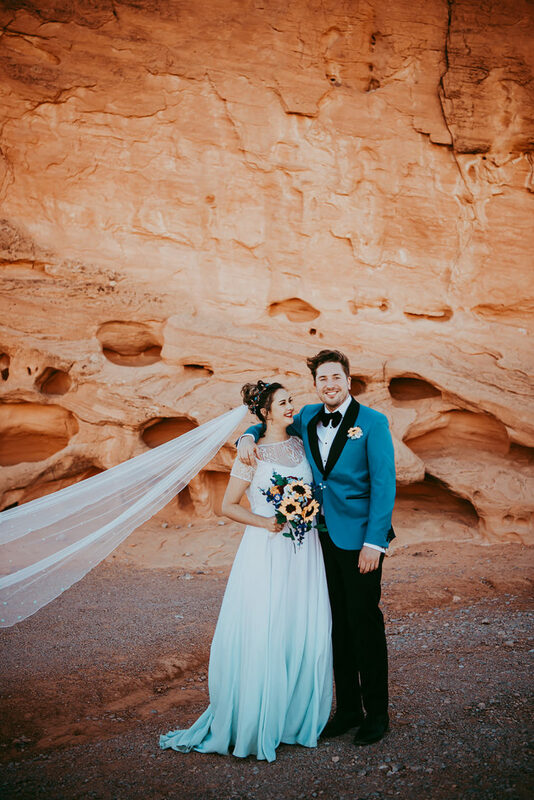 They also had a few agate details to bring the color in and to have a geology feel because the bride studied geology at university. 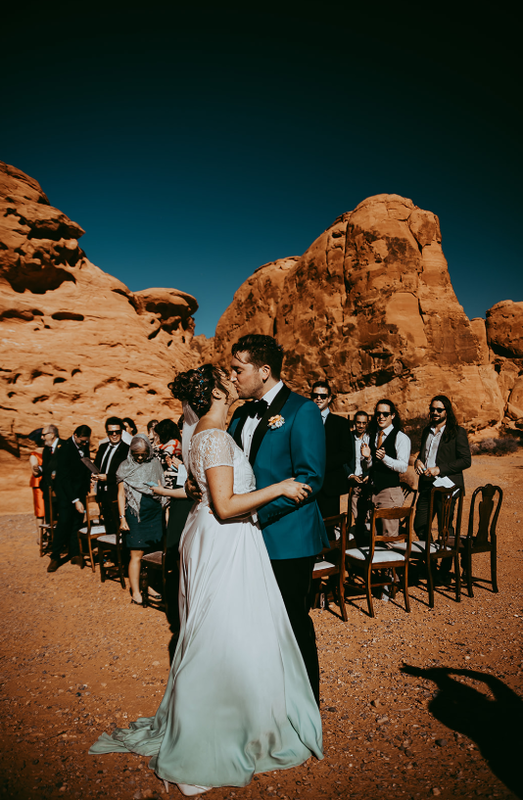 The wedding ceremony space was right in the rocks, they became an amazing backdrop. 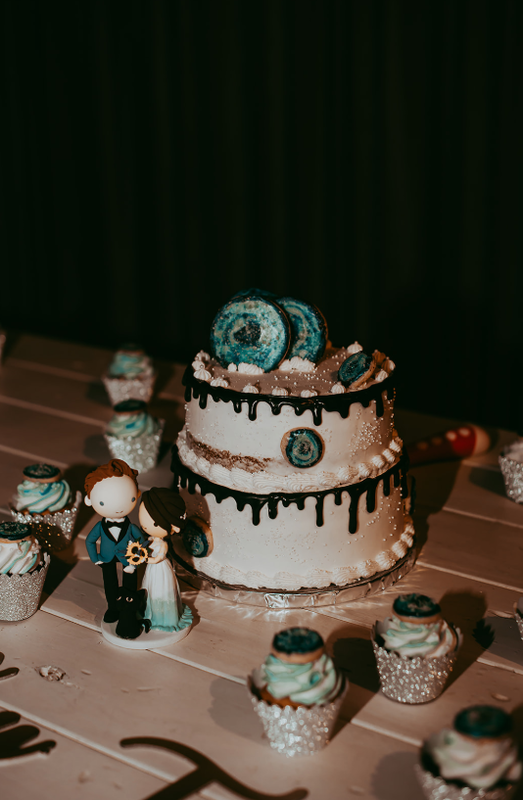 The wedding cake was a buttercream one, with chocolate drip, meringues and turquoise cookies on top. 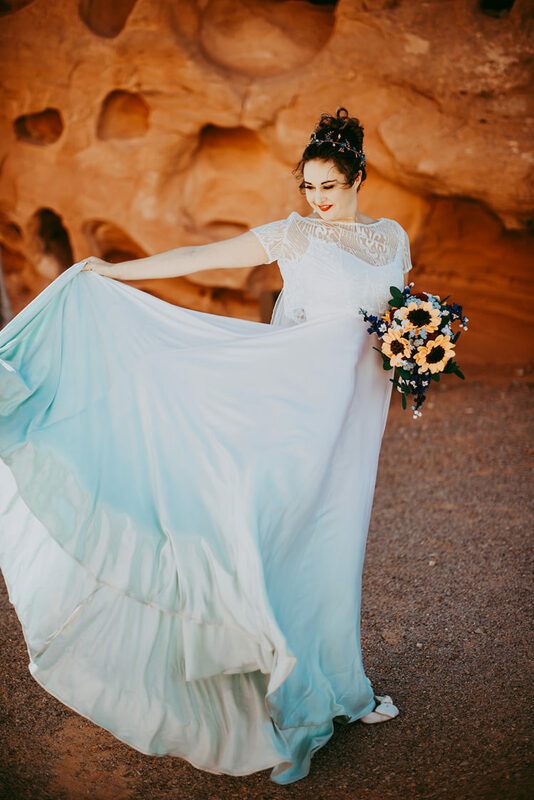 The bride was wearing a spaghetti strap ombre white to turquoise, with a lace coverup with short sleeves. 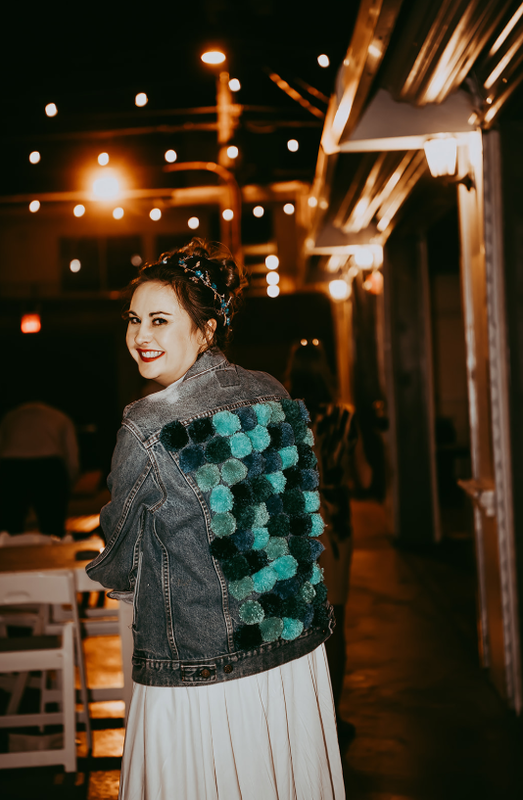 She also covered up with a denim jacket decorated with teal and turquoise pompoms on the back. 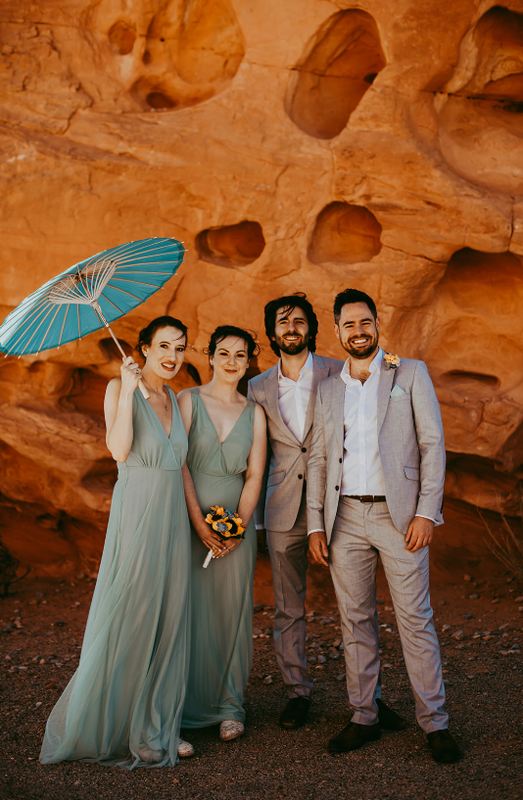 The groom was wearing a turquoise tuxedo, the groomsmen were wearing grey suits, the bridesmaids were wearing light aqua maxi dresses. 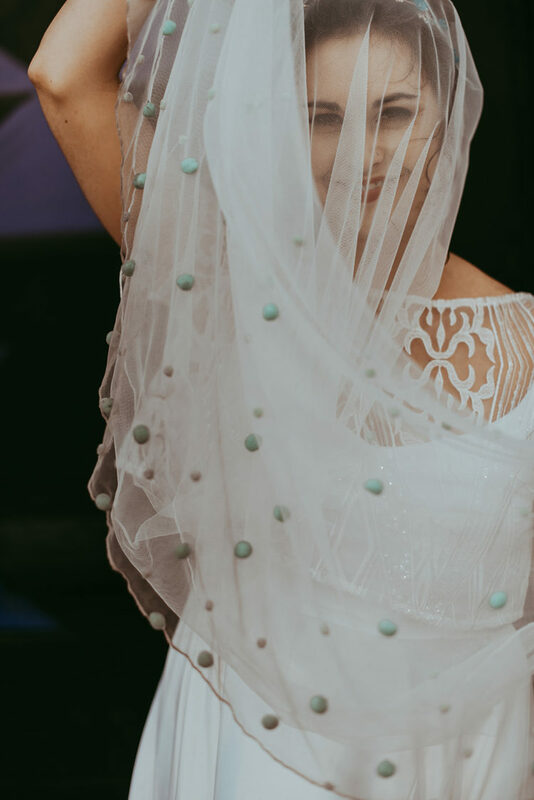 Get inspired by the beauty of this wedding below!